The state of Pennsylvania is the one of the original 13 colonies and has been a leader in many areas of business and commerce since that time. Home of the Liberty Bell, the nations first zoo in Philadelphia, and the famed cheese steak Pennsylvania has everything a person could want or need.The Declaration of Independence was drafted and signed in the state and it is the home of President James Buchanan, Arnold Palmer, and many other influential people. The university system is immense and is turning out qualified professional in every degree field imaginable.In the Hospitality Degree program field one will find quality and variety. Cheney University is widely known for its top notch education and learning environment. Notable graduates of the over 10,000 people who have graduated the college include Ed Bradley of the CBS TV news program “60 Minutes” and Robert W. Bogle who is the CEO of the Philadelphia Tribune. The university was founded in 1877 as the Institute for Colored Youth. The original funding was provided by a Quaker philanthropist named Richard Humphries. Mr Humphries had witnessed the plight of the African Americans living in the area and donated $10,000 of his estate to design a school to educate descendants of the African race. Cheney University offers a Bachelor of Science degree in Hotel and Tourism management that ranks with the best programs available. The mission of the degree program is to prepare confident, reflective, visionary leaders, and responsible citizens who strive in an intellectually challenging, and socially enriching environment. The leadership provides learning opportunities that extend beyond the classroom walls. Internships and externships provide real life experience in this field. The dedication to a superior education lead them to continually research and upgrade the classes and laboratories. create new and exciting products. The program is designed to create professionals in the industry that are ready to enter the field properly prepared. Starting with 320 students and fifteen faculty members East Stroudsberg Normal school began what would eventually turn into what is known today as East Stroudsburg University. The original school was a two year school which taught elementary and science education. One hundred and twenty years later the university proudly stands as a leader in undergraduate and graduate education. A member of the Pennsylvania State System of Higher Education East Stroudsberg serves northwestern Pennsylvania with 58 undergraduate and 22 graduate degrees. The mission statement emphasizes challenging curricula, promotes diversity and views, allows varied opportunities for faculty and students, and provides leadership for the region. The Hotel, Restaurant, and Tourism management program of East Stroudsburg University is a diverse assortment of educational opportunities which prepare students to enter this exciting and challenging professional field. Students are introduced to the opportunities in the hotel, restaurant and tourism business through an experienced and well trained professional staff. The curriculum will prepare the motivated student to enter the professional management opportunities of the field by contrasting theoretical and practical experience for a successful integration into leadership roles. The department offers a bachelor of science degree with an emphasis in the students choice of the hotel industry, management of restaurants, or tourism industry specialization. Students are exposed to hotel and restaurant shows, get to interact with professionals in the chosen field, tour facilities of various hospitality businesses, and can attend career days to help enter the profession immediately upon graduation. are spread throughout the 75 buildings and 11 athletic fields found on campus. The student to professor ratio is 18 to 1.
for off site intern programs and create well qualified, well prepared, quality individuals ready to step into satisfying leadership positions anywhere in the world. contract food services or school food services can be studied and specialized in. human relations skills, verbal and written communication, professional and ethical responsibilities. of degrees offered to the student population. The Sisters, Servants of the Immaculate Heart of Mary founded the university in 1915. People of all nationalities and religions come to Marywood to experience the enriching atmosphere provided on the campus. With a professor to student ratio of 13 to 1 the quality of instruction is superb with 91% of the professors holding the highest degree in their field. scholarships and internships to maintain a well educated and trained flow of new graduates into the ever expanding field. education provided by the low student to staff ratio along with quality internships Marywood is a leader in the hospitality management field. Erie Pennsylvania is the home of a four year catholic liberal arts institution known as Mercyhurst University. A student population of 3,000 students have more than 50 undergraduate programs and also offers unique programs for adults. Post graduate students have eight different upper level degrees that can be attained. With a motto of “carpe diem” or seize the day Mercyhurst staff and faculty help train students to make a huge impact in the world after graduation. The university also competes in 24 varsity level sports in either division 1 or 2.
you want to specialize in hotel management, restaurant management, or become an events planning specialist this liberal arts institution combines liberal arts studies that coincide beautifully with business classes creating a leader equipped with critical thinking skills, excellent communication skills, and problem solving abilities. 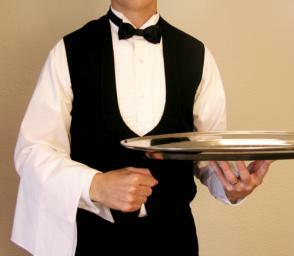 All these skills are valued by employers of the hospitality industry. The top notch business courses taught in the Mercyhurst University hospitality management program is second to none. The many varied opportunities available to students in the program help develop the skills necessary to step out into the hospitality industry with knowledge and confidence. As a Mercyhurst student you will work with and learn from experienced managers currently working in the field of your choice. State of the art equipment is provided as a learning tool to allow a smooth transition from the world of academia into the well paid filed of Hotel management, Restaurant Management, or Event Planning. The universities highlighted above are a few of the excellent choice a student has to get a bachelors degree in the Hospitality management business. Contact the one that interests you for more information on the programs they offer. Also check into the financial aid options each college has available. Financial aid experts will work with you to see what you qualify for and how to best arrange to pay for your education. The opportunity in these areas has never been better and the trend is set to continue growing for the foreseeable future. To see a full list of programs available, please see “TOP 10 BEST ONLINE HOTEL AND HOSPITALITY MANAGEMENT DEGREE PROGRAMS 2014“.